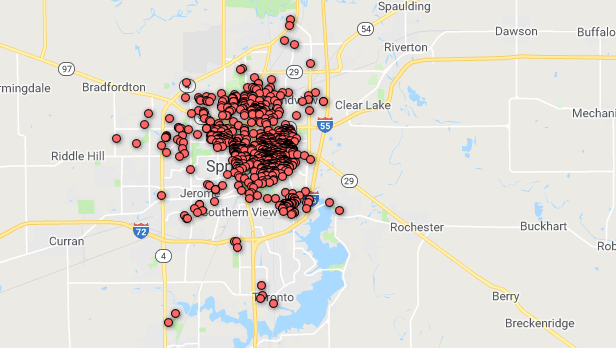 A map of gun-related incidents in Springfield, Illinois. In Danville, this map charts homicides and injuries. An “x” in the info box next to “Homicide” indicates a person was murdered.